God says in Exodus 20:24 that he will come to bless his people in public worship through means. We believe the means are Word and sacrament. The Reformed church believes worship to be merely a divine service—a place where God acts first, causing Christians to respond in thanksgiving. It is a place where God cleanses Christians from the pollution of our lives. Worship is a feast of grace, where believers receive Christ and all his benefits in the baptism and regular partaking of the Lord’s Supper. It is not a voluntary community, but a community chosen by God and created by His Word and Spirit—a community with sanctified things that communicate grace. 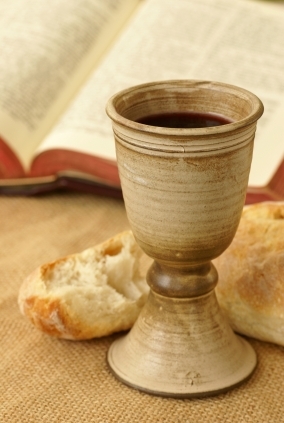 God uses common paper, ink, vocal cords, eardrums, taste buds, noses, fingers, water, bread and wine. He then sanctifies them for his purpose to give his people grace, that is, to give Jesus Christ. The gifts of Word and sacrament are feasting gifts which need to be “metabolized” in order to find full and healthy expression. This happens in the regular habits of personal and communal prayer, and so we meet weekly for congregational prayer meetings in which we seek the Father’s provision of our needs and the needs of the world. This “metabolizing” of Word and sacrament also happens in the hard work of generous, sacrificial, regular, and sincere service to one another in love. Instead of thinking of this facet of the Christian life as dispensable or optional, we hear the words of John that only if we love one another do we in fact belong to the Lord. “But if anyone has the world’s goods and sees his brother in need, yet closes his heart against him, how does God’s love abide in him? Little children, let us not love in word or talk but in deed and in truth” (1 John 3:17-18). We live and confess and worship and love as a body joined together by the Spirit of God, and this is the reality of our life together which overflows from the constantly flowing and life-giving waters of the Lord’s Day.